OTA or over the air technology is basically used to distribute Software Updates, configuration settings, etc directly to portable devices like your Smartphones and tablets. As the name suggest you get your Firmware and Other updates directly over the air from wireless careers and not via USB and other connectivity methods. 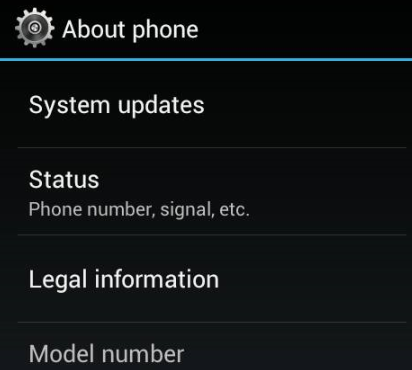 Most of us have some experience with OTA updates, the configuration message send through SMS by your service provider when you insert a new SIM card, to customize it with necessary settings for Internet connectivity and access to features like MMS and WAP is an example of OTA update that most of us have experienced. For receiving OTA updates your device should be able to support this feature. To know if your device has Upgradable android O.S. you will have to check whether you have upgradeable Android version by checking your manufactures website or by using Google. This is not easy to determine, however if the update you are looking for is made available by the manufacturer, then you can easily locate that information over the web and proceed. Some manufactures like Micromax and many others don’t send you OTA update but release OTA updates to be updated manually by the downloading the update.zip file to your SD card. But if you are new to flash tool and android technology, it is recommended that you walk in to official service centers and ask them to update your device. A point of caution: If your device is rooted an OTA update won’t get through and will fail to install in most cases. It might even brick your Android device and render it useless. However you can easily UnRoot your device (go back to stock android version) and install the update. 3) In the preceding menu click on System updates, it will tell you the last time you checked for update and you can further click on check now option to check again. When Will I Get OTA Update? Once your manufacturer decided to dispatch updates, the updates are dispatched in batches and transmitted by carriers. When you will get your Update is difficult to determine as is not determined on your location. You will surely get your update sooner or later. Even trying to manually upload OTA update won’t work if your phone is not selected for update. 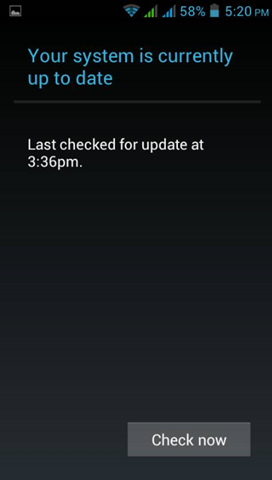 If you are using a Google Nexus 4 device and haven’t got your update yet, you can try to push it. This method might take several attempts to work and will only work if your update is available at the Google server nearest to you. 5) Now check for your OTA update (using the steps listed earlier on this page) you will get a random” Last checked “date. 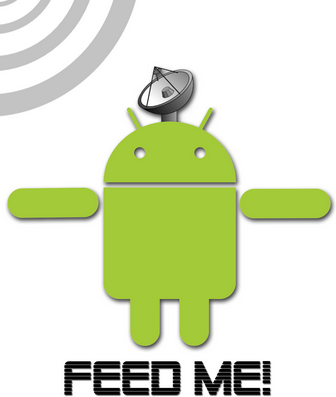 Check for updates and your phone might detect it! "What is OTA and How to check and Install OTA Updates", 5 out of 5 based on 1 ratings. No Ota for your device, as per what we got to know from iball. Will Coolpad Note-3 get Android 6.0 M Update? my micromax android one don’t update android 6.0 to 6.1.
it will be download but give a error in instalation…. Is there any SMS charges payable while using I ball Ota soft were?